We’re excited to launch the new version of Megaventory featuring a complete design overhaul and a significant speed boost on the interface. After many months of hard work we are proud to launch Megaventory 3.0. This new and exciting version features our entirely new UI, advanced customer support capabilities as well as several other optimizations and speed improvements. We started the redesign of the interface from scratch and we literally did not leave anything untouched. We are now confident that we have built a UI that is clean, fast and optimized to reduce the effort needed for every single action inside Megaventory. We have changed the technology used by our application and as a result the interface now responds to user actions at a fraction of the time. This alone should give a productivity boost to businesses adopting Megaventory. What is more, we have completely changed the navigation philosophy. The site interface is now divided in four different dashboards, one for each role in the business: namely the Purchase, Sell, Manufacture and Inventory dashboards. 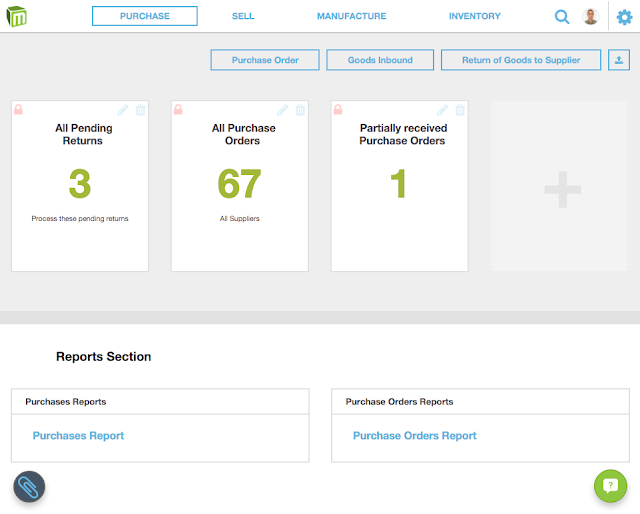 Each dashboard has all the needed action buttons, such as creation of a Sales Order in the Sell dashboard which you can click to quickly start a new order for your customers. Each dashboard also has a very powerful grid of pre-filtered cards and business reports. For example, it’s possible to create a card with the non-fulfilled Sales Orders of the last 7 days and add it to your dashboard for quick reference on an every-day basis. You can even share the card with your team so that they do not have to create it again and so that you all work from the same starting point. The snappy new interface combined with the streamlined design and functionality of the app allows businesses to perform their daily actions like restocking in just a couple of minutes, minimizing data entry. The new UI is also responsive and it allows you to use Megaventory either from your computer or from a mobile device. This comes handy in various use cases: you can either be in your office PC creating reports or in the warehouse managing stock with a tablet or on the go taking sales from clients in your mobile. All new customers get the new UI by default – all you have to do is sign up here. Existing customers will be phased out of the old UI and into the new version in the coming weeks (anyone who wants to jump the queue and enjoy the brand new offering should let us know). Megaventory’s capabilities just got multiplied by 400 – see how! A new, powerful integration for Megaventory is launching today! For those who don’t know it, Zapier is an agile service that sits between various other solutions, services and software and can interconnect them. The really interesting aspect that sets it apart and the reason you should sign up to use it, if you don’t do so already, is that absolutely no programming or technical skills is required. You can set up connections between software you use in minutes and the only limit is your imagination really. What sets it apart from other competing products is the broad access to third party services it offers – more than 400 apps can be connected using it: from CMS to accounting and from ecommerce to helpdesk tools you’re bound to be able to find your tool of choice among its supported integrations. Want to be notified by email when a product goes low on stock? Just connect Megaventory with email – when the product falls below the predefined alert level you will receive an email. You can then log into Megaventory and place an order with your supplier. The possibilities are literally endless – just see the long list of integrations Zapier supports. And, of course, Zapier is the latest of a series of integrations we have implement (Magento and Salescast came before it and more are coming). So, if you had a missing bit of functionality in your current business software solution, take a closer look at the Megaventory - Zapier integration to see if you can make your company run more efficiently. Software Advice, a firm that helps buyers find the right order management system for them, recently released a large study about the latest trends in supply chain software. Some of its most important findings further prove that Megaventory is a key player in supply chain software – and ahead of the game when it comes to properly managing your processes. According to this study businesses in search for a proper supply chain software solution belong in one of three categories. These companies either do not have any software solution in place or use spreadsheets or have a locally installed license solution. We believe that neither of the three can help a multi-location, multi-user business retain its competitiveness and scale in the current business environment. Not in an efficient manner at least. Barcode scanners, RFID technologies and other hardware gadgets for retail businesses and warehouses are no longer the hottest exhibits in major Supply Chain exhibitions. It is business software that is now in the centre of interest in the supply chain world. This happened because both small and larger companies have realized that investing in Supply Chain software can give them a better insight on their business, improve existing processes and most importantly give a large return in investment by optimizing their stock and reducing delivery times. For this reason, businesses are ready to invest large amounts on software solutions: the research found that companies are willing to spend $100k on average for their supply chain software. · The most important reason for seeking to improve their business software is to task automation. Megaventory helps businesses speed up processes like quoting, selling or ordering and each process is designed to reflect the actual operations taking place in a commercial business. This way, it can provide a single platform where all the processes take place. · Reducing data entry comes second in the list of requirements. Choosing to adopt a solution like Megaventory, you make sure you input all your operations in real-time and only once without the need to keep track of various different systems and databases. When you need to perform bulk imports of your existing data, Megaventory can also accept spreadsheets to update its database which will cut down your data entry effort. · Improving and optimizing purchasing is naturally a key requirement for commercial businesses. Optimizing stock can decrease your costs and improve the availability towards your clients. Megaventory’s On-Hand Inventory and Alerts module allows you to set alert levels for each product and inventory location and then re-order the needed products in a matter of seconds without any data entry required. What is more, our integration with SalesCast offers demand forecasting and can help you order the correct quantities for every product by analysing historical data. 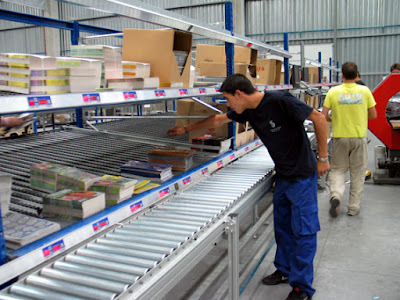 · Improving warehousing is another major concern. Megaventory, offers sophisticated user permissions that allow administrators to strip down the software for each user according to their role in the company. This means, for example, that the warehouse worker can see a simplified user interface only with the information and processes they need. Also, Megaventory makes it very easy to print or email all the printouts like picking slips and packing slips with a simple click. · Business owners seek to find integrated systems for their Supply Chain Management systems. Megaventory has invested a lot in software integrations which allow the creation of a scalable, integrated solution for any physical goods business. The Megaventory software is already integrated with Magento, SalesCast and Zapier and many more integrations are down the road. Megaventory can be easy to use and adopt, an overall affordable and scalable solution which can handle all the operations of a small to medium sized physical goods company. The features added to our solution recently reflect the latest trends in supply chain management and can make the life of managers and employees alike much easier all while enabling them to really stay ahead of the game. You can give Megaventory a try here. Since we launched our Partner Program a few months ago, we have seen a lot of interest and so, we thought we should provide some details on our most popular tier, the Value Added Partner tier. Our partnership is based on revenue sharing and is mainly oriented towards business consultants, software houses and accountants. Other professionals –which already have an existing customer base of small or medium sized businesses that manufacture, track inventory and orders of physical goods– may also identify a new revenue channel with great potential. Joining the program is an easy way for Partners to generate additional income by offering Megaventory to their customers. Essentially, Partners are encouraged to consider whether Megaventory is a good fit for each of their existing or new customers and, if so, present it to them. For every referral company that successfully signs up to Megaventory the referring partner will be getting a flat 25% commission. That's of course on top of any additional services Partners can provide to the end client which revolve around Megaventory (initial setup, localization, customization, custom module development using our API, training, support, consulting etc). Megaventory is not directly involved in these at all (in other words, Partners get to keep 100% of what they charge) and they can develop these offerings into an additional business model on their own. 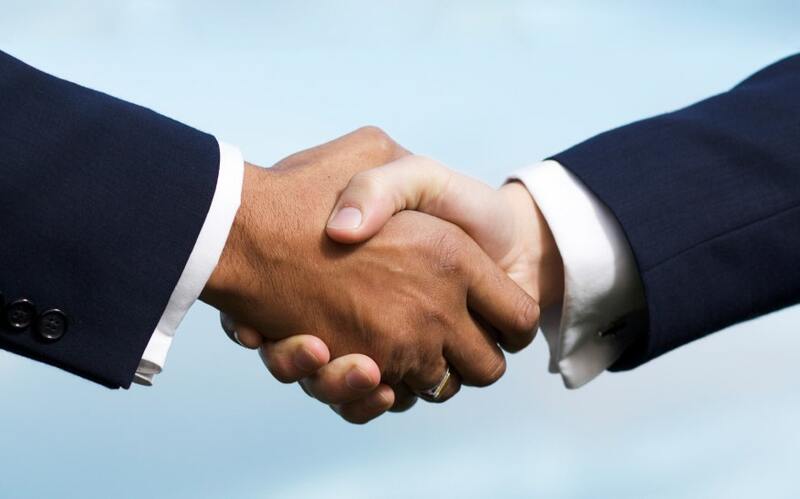 All we ask for all that is that Partners consider Megaventory for their customers' implementations and dedicate a section on their website to briefly outlining our service. Other than that, the Megaventory Partner Program has no entry fee, no certification requirements, no minimum sales quotas or anything else before becoming a member. If all this sounds intriguing and you want to join a global team of Partners (we have members based from Peru to Saudi Arabia and from the UK to Egypt), please sign up or get in touch for clarifications using the Megaventory Partner Program application form! Say hello to our freshly redesigned website! The time to update our looks has finally come and we are starting from our home page at megaventory.com. What we’ve done is to redesign the landing page from scratch with two specific goals in mind. It needs to be the point of reference for people who are using Megaventory and for those who are evaluating our app. It should help the visitor remain up to date with the features of the application and -at the same time- it should also make it easy to reach other useful sections such as the contact form or access the support website. It needs to give concise information on how it can help the website visitors run their business, solve their everyday problems and increase their productivity. Being a truly global company, with customers in over 40 countries around the world, we have made sure to provide our landing page in four languages with more languages in the pipeline for the near future. We decided to choose a scalable layout which also showcases all the upcoming features and integrations while at the same time making the website easier to navigate. Our new website is up to date with the modern design requirements with a one-page, flat, responsive design. And of course it’s not by chance that this update arrives just on time with news that mobile-friendly websites will now get a SEO benefit. Let us know what you think of our new landing page and what we can do to make it even more useful to you. Megaventory is a proud member of the Software-as-a-Service industry and for this reason we have now partnered with two Magento cloud based turn-key solutions. QuickMage is a Magento-as-a-Service solution. You can easily launch and scale your ecommerce business without having to commit to a significant setup and training cost for you and your employees. QuickMage offers Magento hosting, powerful design tools, customizability and easy installation of Magento modules, plugins and extensions. The Megaventory inventory management Magento extension is offered as a premium extension and you can take advantage of the exclusive offer: 50% off of Megaventory fees for the first 6 months. QuickMage pricing is based on the turnover of your store and it will not charge you anything for the first $10,000 you earn, making it an ideal launchpad for a new ecommerce business or for testing a business idea. MageCloud is a service that allows you to install Magento on an Amazon server with just a few clicks. You can customize your storefront with hundreds of themes and add extensions without writing any code through MageCloud’s user interface. At the same time, more advanced Magento users still have access to the regular Magento backend and their server through SSH. 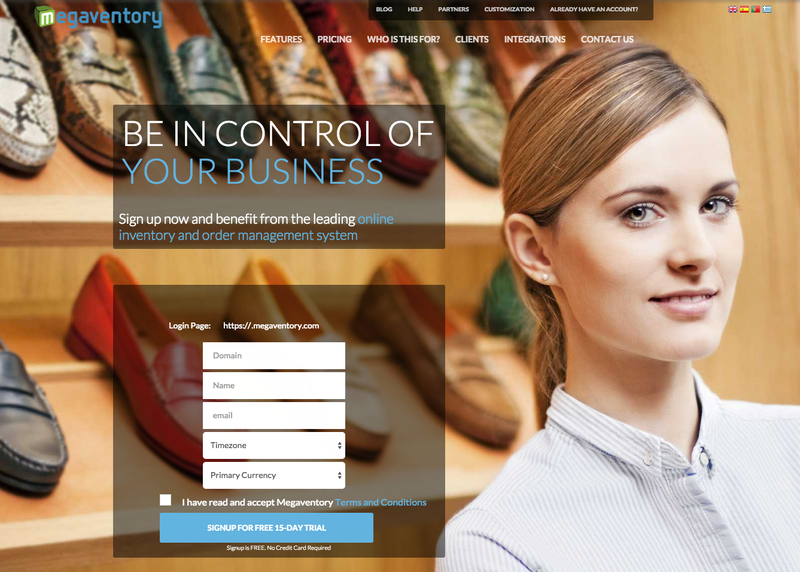 The Megaventory inventory management Magento extension is among those offered in the marketplace providing an excellent method to have a fully-featured solution combining ecommerce and order management out of the box. MageCloud has flexible pay-as-you-grow pricing and you can get started for free if you plugin your own hosting. Again this is ideal to get you started with minimal expenses while keeping the door open for easy scalability to heavier traffic if the business catches on. In Megaventory we make every effort to allow business owners to focus on their business rather than worry about their IT infrastructure and software. These two partnerships and the ease of use they mean are a clear step towards this direction and definitely worth a try if you’re thinking of setting up an eshop with Magento.